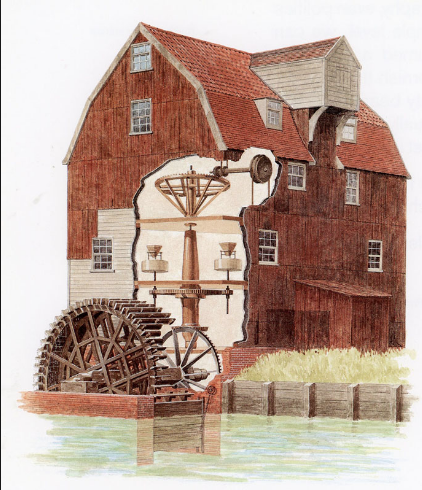 A tide mill is simply a conventional water-powered mill operated by the in and out movement of the tides. Once there were hundreds of operating tide mills along the east coast of the United States - now there are none. There are less than a dozen tide mill buildings left. The Tide Mill Institute hopes to advance the appreciation of tide mill history and technology by encouraging research, by promoting appropriate re-uses of former tide mill sites, and by fostering communication among tide mill enthusiasts. Tide Mill Institute, established 2005, is committed to sustainable industrial heritage.